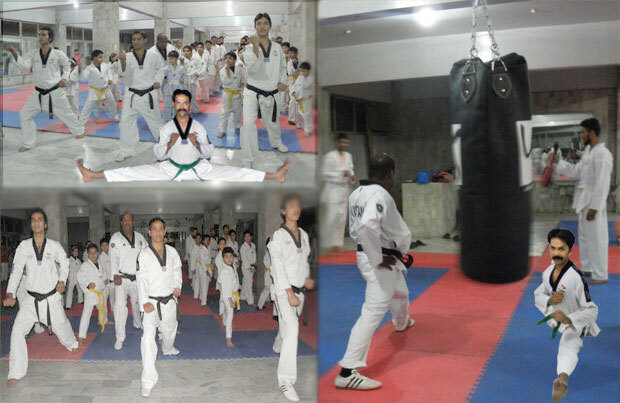 Haji Taekwondo Club was came into being in 1982. Since then it is serving the Nation and polishing talents of young generation. Haji Taekwondo Club is affiliated with Sindh Taekwondo Association & Pakistan Taekwondo Federation & is the only Federation Club in Karachi & even in Sindh province.. 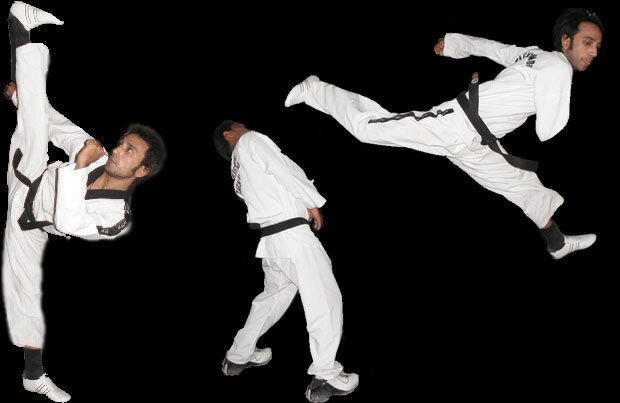 The term Tae Kwon Do means the "way of hands and feet." Today's Tae kwon do is a modern form of martial art descended from ancient Korean martial arts. Haji Taekwondo Club was came into being in 1982. Since then it is serving the Nation and polishing talents of young generation. 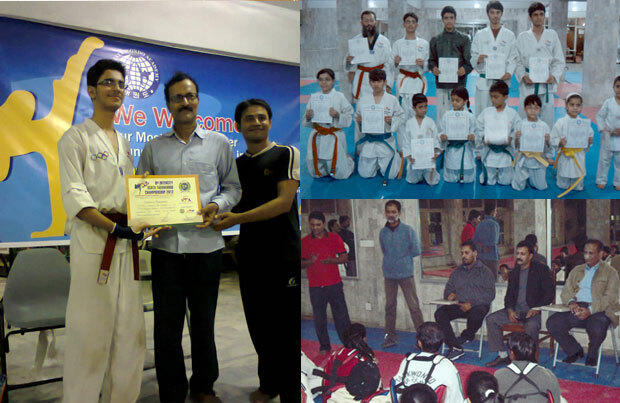 Haji Taekwondo Club is affiliated with Pakistan Taekwondo Federation & Sindh Taekwondo Association and is the only Federation Club in Karachi. The young talented students of club won a lot of competitions on local and national level and shown the result of intensive training of club. The senior Black Belts of Haji Club visits frequently as volunteer and give tips and techniques to students, which help them to improve their game. My 2 Kids taken admission in Haji Taekwondo Club, After getting extensive training they are now Black belts, I am thankful to devoted instructors of Haji Taekwondo Club. 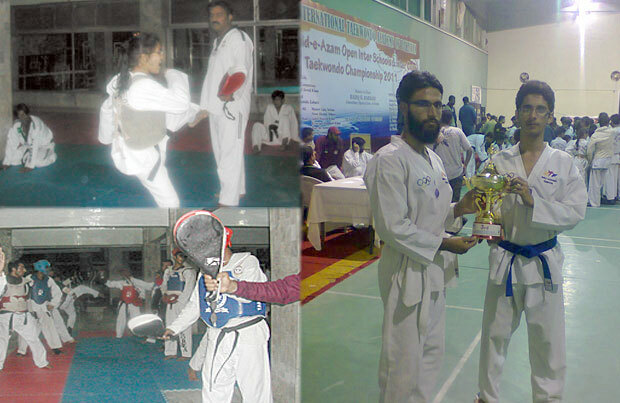 Haji Club Taekwondo Players participated in Nation Games Trial. 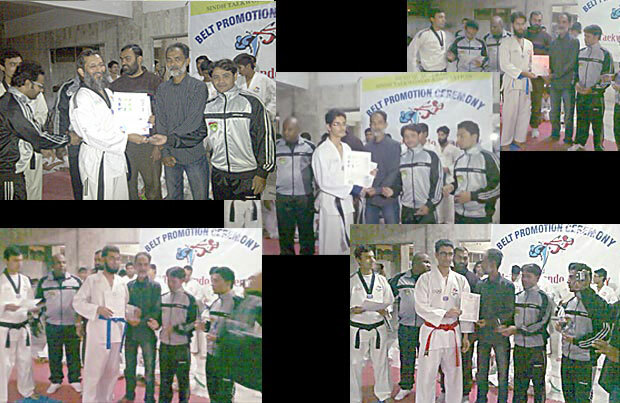 12.01.2013 6th Belt Promotion Test held at Haji Taekwondo Club, Students show best performance.